CAD-CAM technology is a key ingredient to keeping a CNC machine shop efficient, productive and profitable. It’s important to re-evaluate your CAD-CAM software every once in a while to make sure that it’s keeping up with the demands of your shop. 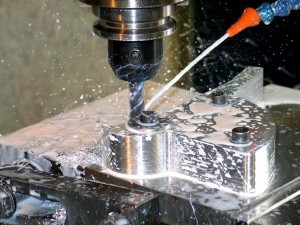 If your machining needs change as your business grows, your software needs will change right along with them. 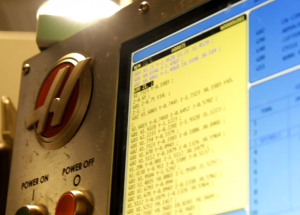 In order to maintain a successful CNC machine shop, it is essential to considering the following aspects to see if your current programming software matches up. Do you currently have CAD-CAM software incorporated into your CNC machining workflow? If not, you should take a close look at how your manufacturing process flows and how the addition of a CAD-CAM product could positively affect your shop’s performance and efficiency. Is your current operation able to program parts while machining parts? Would that increase productivity? While most would quickly say “yes” to that last question, you will want to examine that situation closely in relation to your shop. If you already use CAD-CAM, could you benefit from adding another work station or is it simply too expensive to add another seat of the existing product? If so, consider looking for another more affordable CAD-CAM product that fits your needs and budget, and also has a flexible maintenance program, or one that doesn’t demand maintenance. It really boils down to what you need and what you can afford as a business. How easy is it to learn the software and adjust to updates, new versions, and add-ons? It’s important for both hobbyists and professionals to understand the typical learning curve for operating CAD-CAM systems. There should be training manuals and training videos available for all software versions and add-ons. If you are looking for a CAD-CAM product you should consider what types of training solutions they offer and if they are convenient for your business. Learning new software can be costly in terms of the amount of time it takes to train someone on it or learn it yourself – this is a top reason why CNC shops stay small by waiting on adding CAD-CAM. 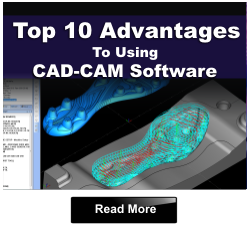 Does your CAD-CAM software allow you to connect more with your customers in terms of the type of CAD files they use and will need to provide you? Your system should be compatible with the most common CAD files, as well as have the flexibility to be able to read in all popular file types, such as: DXF, SLDPRT, DWG, IGES, STEP, Parasolids, STL and others. File type flexibility is extremely important when working with customers, and could cost you business if ignored. All CAD-CAM products allow you to create g-code programs for machining. How many different CNC machines do you have, and does the CAD-CAM software post-process toolpath into the exact language that your CNC machine needs in order to complete the work correctly? These are called “post processors” and you will need one for each different CNC controller on your shop floor. The CAM side of the software will allow you to create g-code programs that meet the requirements of your CNC machine controllers, so make sure whatever product you purchase has this ability. Quite often, post processors need to be modified or customized to be more specific to a machine. Does the CAD-CAM provider change a lot of money for this? Do they even do this type of customization for you? These types of details can be easily looked over but are extremely important when looking to update or get new software. There is nothing wrong with signing up for a software maintenance program. In fact it shows that the product provider is serious about developing updates that you are going to need. Do you currently have yearly maintenance fees? If so, do you know what the cost covers? Some providers charge you maintenance fees to receive updates to plug in products or to gain access to training events. The days of getting updates for free are nearly over as CAD-CAM providers are pushing the envelope of developing their products and that isn’t free. Yearly maintenance fees are unfortunately a part of todays technology movement in manufacturing automation. Make sure your annual maintenance contract includes bug fixes, same version service packs and if you’re lucky you can even automatically get upgrades automatically under the agreement. This makes dealing with sales calls a thing of the past! Be wary of companies that offer “free support,” as it may indicate a low quality of service and long, frustrating waiting periods. 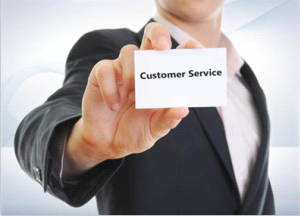 Remember that as that customer base grows, so does the support traffic, and the company should have a support team available that is able to handle all of your requests. If your current software doesn’t meet these requirements, it may be time to switch to software that better suits your shop floor. Having the right CAD-CAM system for your needs can effectively shave up to 30% off your job time, helping you increase productivity and profitability for your shop. It’s not hard to include the value of training in this category because of the importance of knowing how to use your CAD-CAM product. Operator training is an absolute must that will generally reduce “support” phone calls due to user error. In the end, CAD-CAM technology continues to allow manufacturers to stay competitive, productive and profitable. 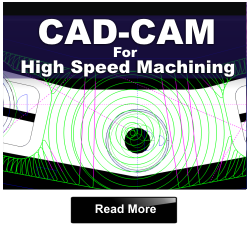 To learn more about BobCAD-CAM CNC programming software call 877-262-2231 or 727-442-3554 today!